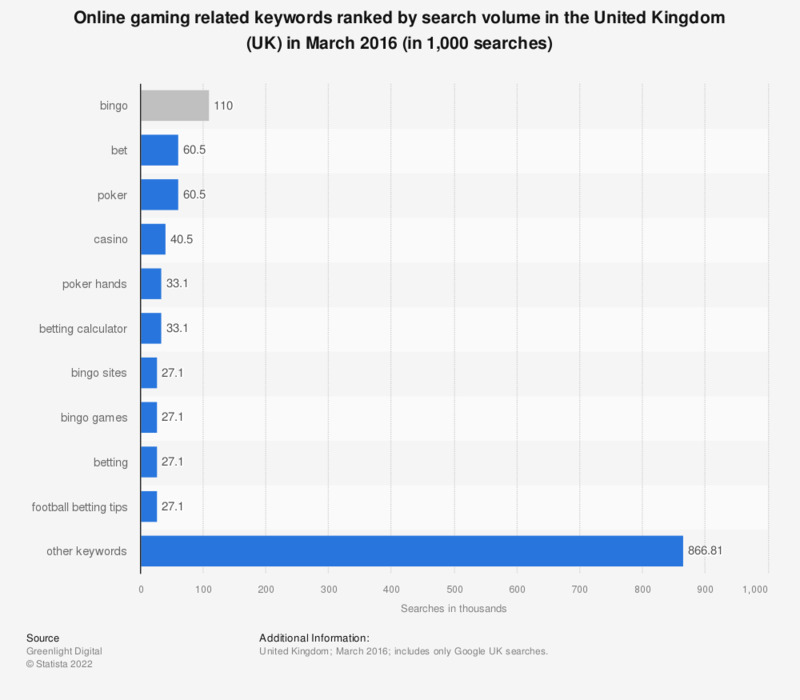 This statistic displays the most searched online gaming related terms on Google UK in March 2016. Most popular was the term "bingo" with 110,000 individual searches. includes only Google UK searches. Which did you try first?